The Healthy Boy: Which Supplements Actually Work? Out of all the fitness books I have read, most of them tell you not to waste your money on expensive and overrated fat burning and muscle building supplements, and to instead buy lots of whole nutritious food, which is the natural way to get lean, increase testosterone and build muscle. I tend to agree. Although if you wave something shinny in pretty packaging in front of my face and tell me it's going to make me look huge and ripped like Gerard Butler in 300 with minimal effort I will stupidly still part with my cash. This has seen me easily spend way too much money over the last 10 years and try every possible product under the sun. But there are a few products out there that do work and are recommended by fitness experts and personal trainers, so let's cut through the crap to identify the ones that do and don't work. What is it? A compound that is found naturally in the body in skeletal muscle, but also in red meats and fish, and as a supplement in pwder or capsule form, predominately in the form of creatine monohydrate. What does it do? It increases the production of ATP, which is an energy source for musclular contraction within the body. What do they do? They claim to either raise your metabolism, burn calories, or supress your appetite. Do they work? Yes and No depending on your goals. I've tried fat burners like hydroxycut and Lipo 6 but all they did was crack me out like Ramona from The Real Housewives of New York with her crazy saucepan eyes. I may have chewed my mouth apart, however but my social life was never better. 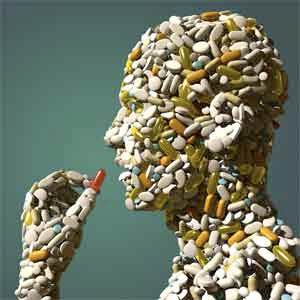 There are so many available that some are nothing other than snake oil that promise to delieve but rarely do. Also, they have a tendancy to eat into any of your muscle gains, so if you are trying to build some lean muscle I would advise against purchasing fat burners. Where to Buy? Don't. Save your money. What does it do? When you workout you break down your muscle fibers and tissue, and your body needs protein to repair them. 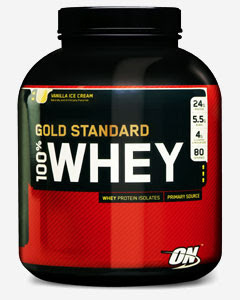 A whey protein powder, particularly whey protein isolate, provides your body with a fast absorbing form of protein to quench your muscle's thirst as quickly as possible. Does it work? Yes. Just make sure you are getting a good quality protein with minimal fillers or sugar. What is it? 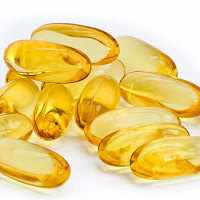 The majority of fish oil supplements on the market surprisingly do not come from big water fish. They come predominately from smaller mackerel and sardines, which has bee reported to be better because of a lower mercury content in the smaller fish variety. Does it work? Yes and No, depending on your goals. The jury is still out on whether it is going to help you gain any substancial muscle mass, but it has been reported that the consumption of Omega 3s does help in fat loss. They do however provide you with a long list of health benefits, so I definitely recommend taking them. I go through about 2 containers a month. What is it? Generally a pill or capsule that contain dietary minerals and vitamins. What does it do? It can help provide the necessary vitamins to individuals who may not be able to obtain their vitamins from food sources. Do they work? Yes. If you do have a balanced diet, nutritionists say you should be getting all the vitamins and minerals you need. But a good multivitamin will bridge any gaps you may have in your diet. What does it do? It works by dilating your blood vessels, allowing more blood and oxygen to flow to your muscles and cells. Does it work? Not sure. There are many supplement companies out there who release articles and advertising saying it will jelp you get bigger, but this has yet to be proven. It will indeed give you an extra pump at the gym, but the long term effects on muscle size or strength have yet to be proven. What is it? 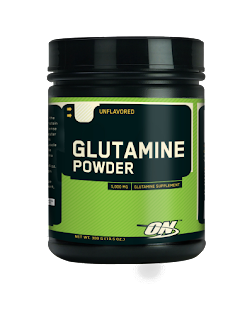 It's an amino acid that is most abdundantly found in human muscle and plasma, and is found in supplement form in the way of powder or capsules. What does it do? It provides a range of health benefits such as supporting a healthy immune system and gastrointestinal tract, but more relevant to you is it's ability to decrease muscle wasting by decreasing cortisol. Does it work? Depends who you ask, but a lot of fitness professionals and body builders swear by it, and it has been shown in some studies to improve muscle mass, but there is still not enough compelling evidence to give it an absolute "yes" at this stage. What does it do? This is another product with various health benefits, and has even been researched to help fight cancer, but from a fitness perspective has been reported to aid in fat loss and to a lesser degree support muscle mass. Does it work? Research says yes, however the CLA from natural sources such as grass fed meat and dairy are apparently more effective. Thank you! Love this post. I take creatine, whey protein isolate, fish oil and vitamins-and-minerals supplements. I also take glucosamine & chondroitin tabs for my joints. Great post! It's always so tempting to buy everything at GNC. Hard to remember that nothing can replace healthy eating and visits to the gym. I gave up on mulitvitamins 8 months ago after reading a long term study of how they may actually increase cancer, diabetes, and prostate cancer. If your eating right they shouldn’t be an issue, your body metabolites vitamins from food differently than it does from a capsule. Actually, creatine works in some people, but not all. To put it very simply, your body and muscles already have natural stores of creatine. Likely the result of genetics, some people naturally have "maxed out" creatine stores in their body. Therefore, only those who don't fall into this category of "maxed out" will benefit from creatine supplementation. That said, you have no way of really knowing which group you fall into, so go ahead and take it and see if you notice any benefit from it. Jettiki, could you link us to this study? Here are a few links Anonymous, I figure it was a large sampling over a long period of time so I give it more credence than the usual fly by night so called studies that try to sell you a miracle pill. When choosing supplements, make sure to talk with your pharmacist to ensure that you don't encounter any unwanted side effects or potency issues with your medications. 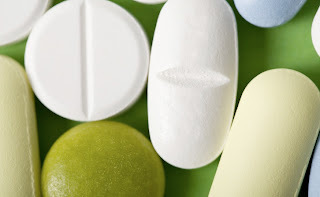 We recommend choosing supplements that have been independently certified for their good manufacturing practices from one of the following organizations: Natural Products Association, NSF or the Therapeutic Goods Administration. There are a lot of supplements that really works. You just have to choose what you think is the best for you.